While Facebook provides Page administrators with a little bit of insight into how their campaigns are doing, on Twitter, aside from retweets and replies, it’s hard to know if your updates are having any effect at all. Brands are increasingly being told to invest time into tools, without having the faintest clue if they’re actually making a difference. Luckily the Twitter ecosystem has seen the development of third party sites and services which step in where Twitter left off. The latest of these tools – Content Scorer – comes to us courtesy of the Middle East based social media agency, The Online Project. The Online Project is now sharing that tool, albeit in private beta at the moment, but more on how to get in on it, at the end of the post. After connecting Content Scorer to your Twitter account, it will analyse your tweets, allowing you to take a look at how well each of them fared. 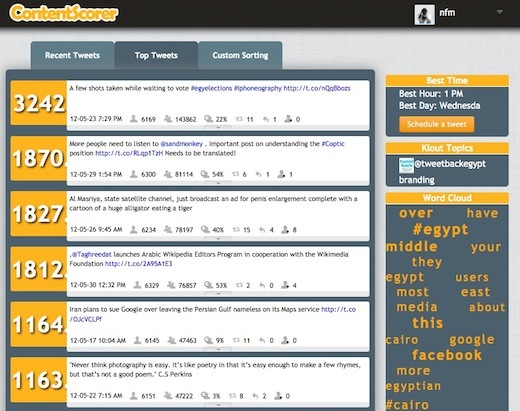 The site uses a variety of factors to calculate each tweet’s individual score. The first is your ‘potential reach’, or in other words, the number of followers you have at that exact time. The second is your ‘extended reach’ – how many Twitter users it could reach based on who retweeted it and how many followers they have. Most importantly, the service tells you what percentage of those followers were available when you posted – giving you a way to better learn when to schedule or post tweets. Of course, you can put that information to good use straight away, as Content Scorer has an in-built scheduler. It also tells you, at a glance, how many times the tweet has been retweeted, how many replies you received, and how many followers you’ve gained. Don’t expect to find out how many followers each tweet has gained you when log in to Content Scorer for the first time. 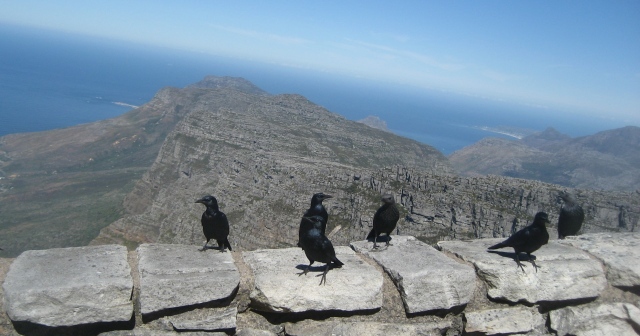 The service pulls in your 200 most recent tweets, and follower increase in relation to tweets is something which is managed entirely by Content Scorer’s own system. There are a few more features we can still expect from Content Scorer including support for multiple accounts, graphing, custom reporting, the ability to select a specific date range to analyse, exporting data and more. With services like Klout coming under fire for claiming they can measure online influence, Content Scorer has taken a very different approach, by looking at the potential each and every tweet has. Of course any tool like this has to be taken with a grain of salt, but what it definitely does is show you at a glance, which of your tweets hit the mark with your followers, and which didn’t. If you’re using Twitter to connect with your userbase – that kind of information will no doubt come in handy. 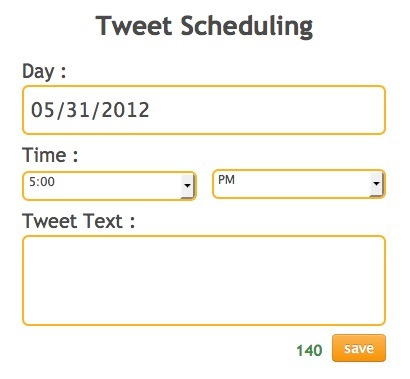 With the information compiled, Content Scorer also tells you what time and day is best for you to tweet – in my case 1pm on Wednesday seems to be the ideal time for me to connect with my followers. With Content Scorer still in private beta, we weren’t going to tell you about it, and not give you a chance to try it out for yourselves. The Next Web readers can get early access to the site using the invite code, CSTNW. Don’t forget to let us know what you think of the site in the comments.